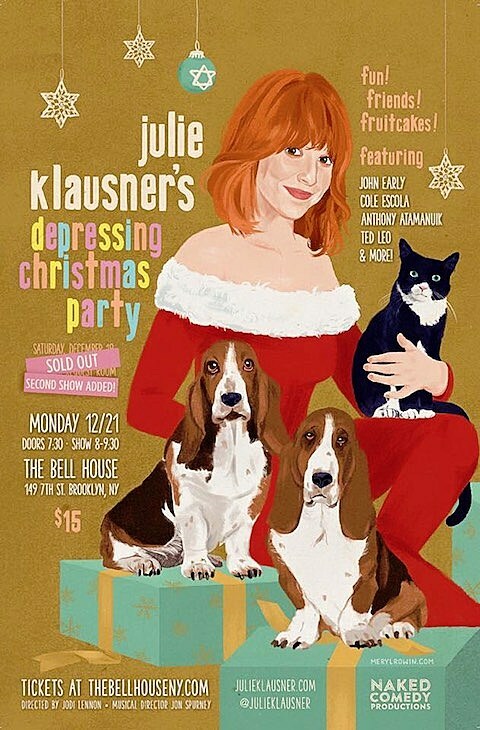 As mentioned, Julie Klausner will be celebrating the holidays with her “Depressing Christmas Party” at NYC piano bar Sid Gold’s Request Room on December 19. That show has sold out but she’s added second show, happening December 21 at The Bell House with the same guests: Ted Leo, John Early, Cole Escola, and Anthony Atamanuik. Tickets for the Bell House are on sale now.